Andrew Lloyd Webber (right) cheered on his kid rock band at this year’s Tony Awards. He then donated some money to encourage musical kids. The legendary composer, whose School of Rock competed for the top musical prize on Sunday, announced that he is funding $1.3 million to buy musical theater equipment for American public schools, and to help subsidize study. The stage version of School of Rock stays close to the plot of the Jack Black-2003 film, in which a wannabe rocker enlists his fifth-graders to form a rock group and conquer the Battle of the Bands. 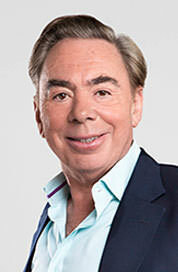 Lloyd Webber wanted a scheduled Tony Awards performance to motivate others. The three-year grant operated by The American Theatre Wing will include the purchase of instruments and equipment for school theater programs, after-school training, funding summer study, and college scholarships. The grant is an extension of a program Lloyd Webber has implemented in Britain, introducing violins in schools before pupils go on to make their own music choices. It’s great to see support for The Humanities. 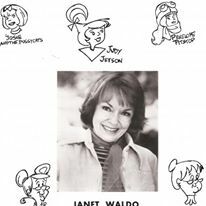 Janet Waldo was a consummate voiceover star, best known for her playing Judy Jetson. She lent her voice to The Lux Radio Theatre, The Dinah Shore Program, The Great Gildersleeve, My Favorite Husband, The Eddie Bracken Show, and Meet Corliss Archer. She had small roles in cinema, appearing in The Way of All Flesh, Waterloo Bridge, The Farmer’s Daughter, and Fantastic Planet, among others. On television, she guest-starred in I Love Lucy, The Phil Silvers Show, Get Smart, The Adventures of Ozzie and Harriet, The Andy Griffith Show, The F.B.I., Please Don’t Eat the Daisies, Petticoat Junction, and Julia. Her career was special in animation, with steady parts in The Jetsons, The Flinstones, Johnny Quest, Josie and the Pussycats, The Magilla Gorilla Show, Peter Potamus, The Perils of Penelope Pitstop, and The Fantastic Four. The durable Janet Waldo was 96. This entry was posted on Monday, June 13th, 2016 at 12:04 am	and is filed under Blog by Manny Pacheco. You can follow any comments to this post through the RSS 2.0 feed. Responses are currently closed, but you can trackback from your own site.